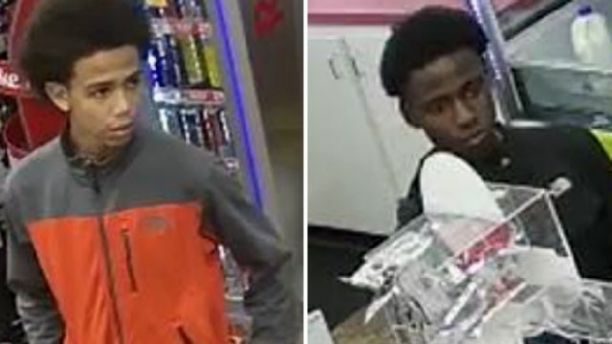 Police in Washington state said Tuesday they identified two teenagers who robbed a convenience store after a clerk collapsed with a life-threatening medical issue. Auburn Police said the teens walked into a Shell station with an adult man on Saturday afternoon. One of the teens took a pepperoni stick from the counter and starting eating it, then gave a second one to his friend. When the man tried to purchase a different item, police said the clerk tried to charge him for the two pepperoni sticks as well. 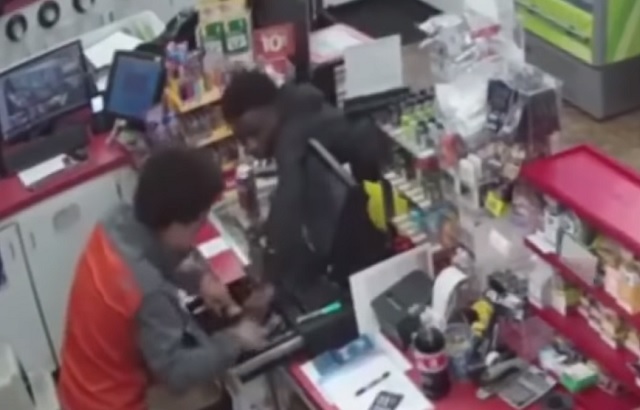 An argument broke out before one of the teenagers offered the clerk a dollar bill. Incensed, the clerk came around the counter to confront the teens. After a brief conversation, the clerk turned to return to the register, only to stumble and collapse. The adult man left the store and one of the teenagers grabbed the dollar bill out of his hand. The teens initially left the store, but each of them returned to steal merchandise and empty the store's cash register. One of the teens could be seen on surveillance video stepping over the clerk to exit the store. Three minutes passed until another customer arrived and discovered the clerk on the ground. "He asked the people that were outside at the pump to call 911; he rushed back inside and started performing CPR on the (clerk)," Sharapova said. "I don't know who these people are, but they are the true angels." The clerk was taken to an Auburn hospital where he is still alive, but on life support. "It just breaks our hearts," Sharapova said. "Now this guy is fighting for his life. He has three little children. He has a stay-at-home wife. We just pray to God that he makes it." I can't wait to hear libs explain how these teens are the "real victims"!